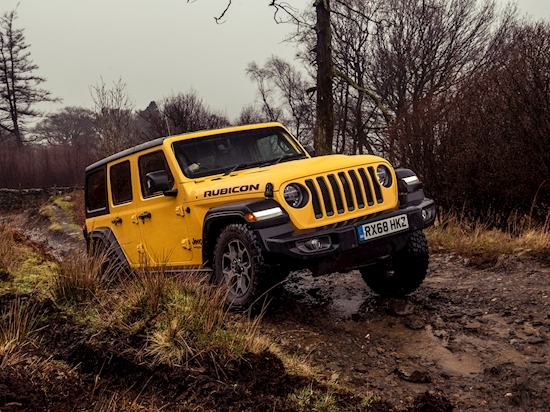 For 2019, the Wrangler’s been made more suitable for tarmac while retaining its core sense of purposefulness. After all, Jeep says that customers who want a Wrangler will only buy a Wrangler – and they’re a choosy bunch indeed. The styling, however, is excellent. The flat-faced dashboard is a charming throwback, and it’s decked out with little Jeep details. Most of the switches feel high quality, and even having the window switches centre-mounted isn’t an issue. The glovebox is a little stingy, but there are two large cupholders and a cavernous centre storage compartment.